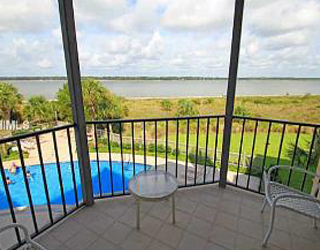 Please send me more information on Belfair at, Bluffton Thank you. Belfair includes 730 homesites. The club offers 40 non-property memberships, resulting in a maximum club membership of 770. Belfair features a 24-hour security gate. Two championship golf courses designed by legendary Tom Fazio, namely the East course and the West course, exemplify Lowcountry beauty with their deep-water views, fresh water lakes, majestic oaks and lush native grass. Designed to be the finest practice and teaching facility of any private club in America, Belfair’s renowned Jim Ferree Learning Center offers large multiple tees, superb putting and chipping greens, practice bunkers for greenside and fairway shots, and a variety of target fairways and greens. With over 9,200 square feet, Belfair’s state-of-the-art fitness center offers members a variety of fitness programs, two pools, tennis services, certified personal trainers, spa services, a dog park and more. Along with the magnificent half-mile oak-lined entry drive, Belfair is home to both prehistoric and historic sites, dramatic marsh and river views, secluded wetlands and Hidden Lake, a 42 acre freshwater chain of lakes. The upper portion of Hidden Lake contains what has been classified by the US Fish and Wildlife Service as one of the more significant colonial wading bird rookeries in South Carolina. The rookery has been preserved as a conservancy. In addition to the many different sporting activities, a number of social clubs covering a wide-range of interests are available. Bridge lessons, mah-jongg tournaments, trivia challenges, wine seminars, film or book discussions, and bicycle outings are among the many activities available at Belfair. Philanthropy, as much as the excellent facilities, the genuine friendships and the gracious lifestyle, is a true hallmark of Belfair. Throughout the year, Belfair owners band together to aid worthy causes. Among the charities that member activities and events have helped are Boys and Girls Club, Play for Pink, Toys for Tots, Volunteers in Medicine, Hope Haven, Habitat for Humanity, local food banks, and a myriad of other charitable organizations. In 1811 Belfair was established when William Telfair of Savannah married Betsey Bellinger. They took the first part of “Bellinger” and the last of “Telfair” to name their new plantation Belfair. Belfair was originally a country estate and working plantation devoted to agriculture. 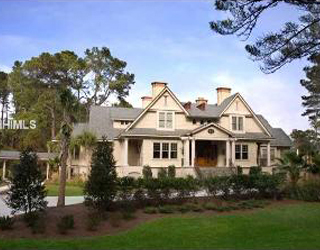 After changes in ownership and functions throughout the years, Belfair Plantation, L.L.C., purchased the property in September 1994. They subsequently created a world class private golfing community. How many active real estate properties are currently listed for sale in Belfair , Bluffton? Currently there are 72 listed for sale. Are there any foreclosures currently for sale in Belfair , Bluffton? No, currently there are no active listings in Belfair with a foreclosure status. Are there any short sales currently for sale in Belfair, Bluffton? No, currently there are no active listings in Belfair with a short sales status. What is the price range and average price for residential homes in Belfair ? The price range of the 43 listed homes for sale in Belfair is between 389K and 2,295K. The average price is 865K. Click here to view all residential home listings in Belfair. What is the price range and average price for residential land and lots in Belfair ? The price range of the 29 listed land and lots for sale in Belfair is between 0K and 195K. The average price is 45K. Click here to view all residential land and lots listings in Belfair. What amenities a buyer should expect to find in Belfair ? 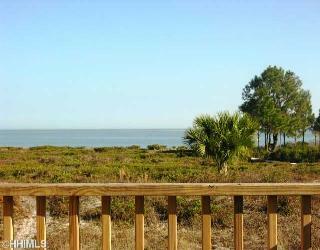 What kind of views a buyer should expect to find in Belfair ? Approximately 1100 acres in size, Belfair is located on the mainland in Bluffton, five miles from Hilton Head Island on Highway 278. Its waterfront side faces the marshes of the Colleton River. Belfair is 25 miles north of Savannah, 32 miles south of Beaufort, and 110 miles south of Charleston, SC.